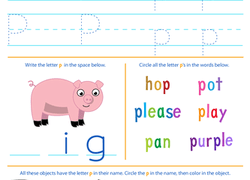 This colorful printable lets your child play with the alphabet and practise writing letters to build words and vocabulary. 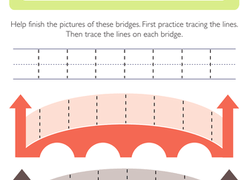 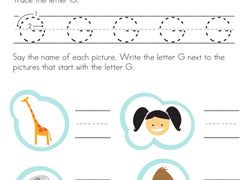 On this prekindergarten writing worksheet, kids practise tracing letters and identifying G.
This colour worksheet lets your child play with the alphabet, building words and vocabulary, also getting some writing practise in. 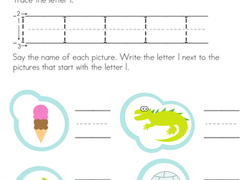 Fill in the missing A's, B's, and C's in this writing worksheet, which gets your preschooler to focus on onset rime. 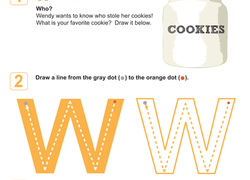 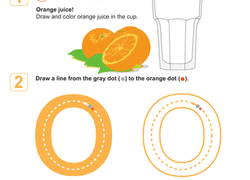 This outrageously orange worksheet will help your young write practise her letter writing skills as she learns about the letter O. 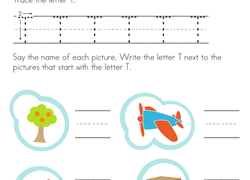 This wonderful worksheet will help your willing young writer master his letter writing skills by giving him great fine motor practise. 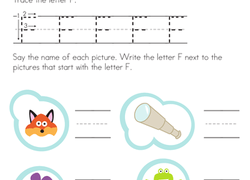 This colour worksheet lets your child play with the alphabet, building words and vocabulary, also getting some practise writing letters in.